In addition to mortgage website designs, we offer ways to create leads through landing pages, pay-per-click management and SEO solutions. All of our mortgage website templates feature a 2018 current look and feel. Our mortgage web designs have unique features so you can choose the one that works best for you. Our Responsive Rate Pro design can display rates based on input such as LTV, credit score etc. and can show closing costs associated with the loan. 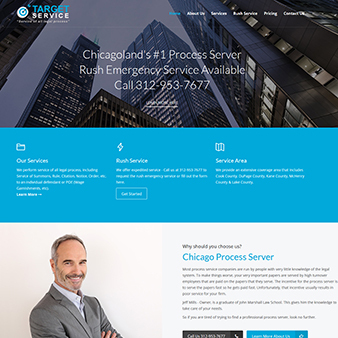 If you aren't looking for a website that displays rates, we have designs geared to capturing leads(see Responsive Lead Pro). So whether you are looking to show rates and closing costs with a good faith estimate style output or just looking to have a professional looking mortgage site that captures leads, we have what you are looking for. All of our mortgage website templates come with a 1003 application where multiple loan officers can be selected by the applicant and the information can be imported into your LOS such as Calyx Point. 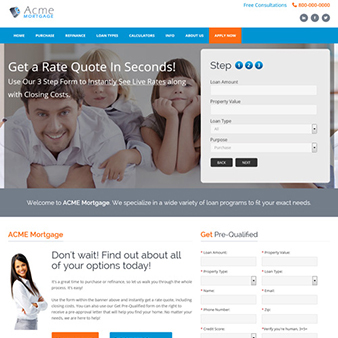 We design mortgage landing pages for any type of specialized advertising. We have already made designs that can be slightly customized or we can create a unique custom design. 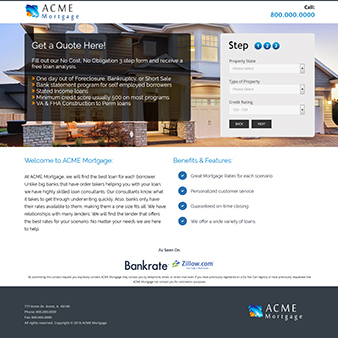 For those who demand more than a mortgage template site, we can design a custom mortgage website or any type of site from scratch. This allows you to have a site that is unique to your company. We can also add custom features to your site. We include an importable 1003 application with all of our mortgage websites. However, we also offer a 1003 application only that you can add to an existing site. It includes a full application, short application and an application wizard. 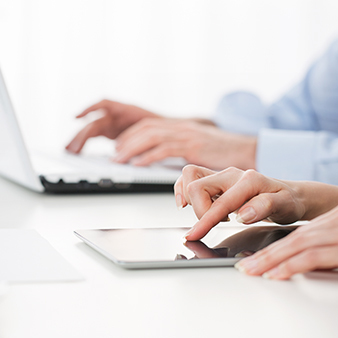 Everyone wants their site showing at the top of Google for mortgage keywords. 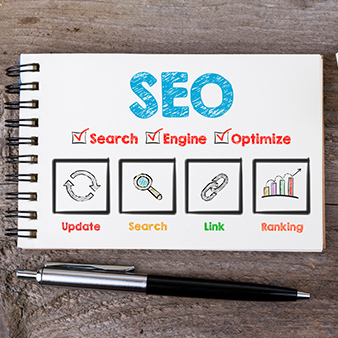 Find information on Organic SEO and what can be done along with the hurdles associated with doing SEO for residential mortgage companies. I would like to take this opportunity to thank you for the fine service. You have been extraordinary in your follow up and professionalism and have clearly gone the extra mile each and every time. We are certainly not your biggest account, as we are a very young company, but you would never know it by the way you and your people have treated us. Not once have you “nickel & dimed” us for changes and alterations to the site, which in this day and age is very unusual. Honestly Frank, you should be charging 3 or 4 times your current price for the web site. It would still be worth every penny. I am happy to recommend your firm to anyone in the mortgage industry.